Good tattoo design is important because tattoos are one of the few types of art that are literally embedded into their owners’ bodies. And among the types of art we choose to permanently wear—which also include piercings and cosmetic surgeries—tattoos are the most visible. In recent years, attitudes toward tattoos have shifted, thanks in part to the presence of beautiful, well-executed tattoo designs. Working with a talented freelance tattoo designer means having your vision for your tattoo, whether it’s a reflection of your past, your values, your perceptions, or your dreams, turned into an image you’ll be proud to wear for the rest of your life. Find the best freelance designer to hire from our list of top tattoo designers for 2019. If you want a custom tattoo designed, the thought of finding the perfect designer to create it can be intimidating. You don’t want—or, since it’s 2019, need—to limit yourself to the tattoo artists in your town. There are a few ways you can find the right tattoo designer to create your perfect image. Keep in mind that a tattoo designer isn’t the same as a tattoo artist. There are plenty of tattoo artists who do design their own work. If you’re working with a designer you meet on 99designs, you’re going to have to find an artist who can replicate the design onto your skin. Getting your perfect tattoo is a two-step process, and getting the perfect design is step 1. How did we choose these as the top tattoo designers? 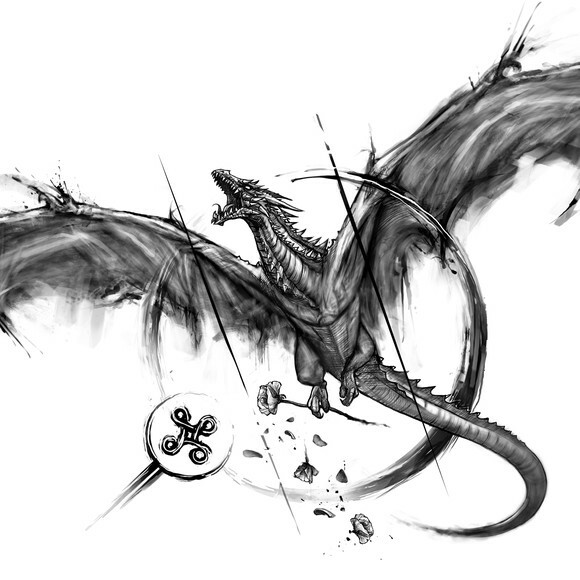 You’ll notice the tattoo designers on 99designs are split into three categories: Entry, Mid and Top level. Our in-house team hand-vets every designer on the platform to determine where they fit best. 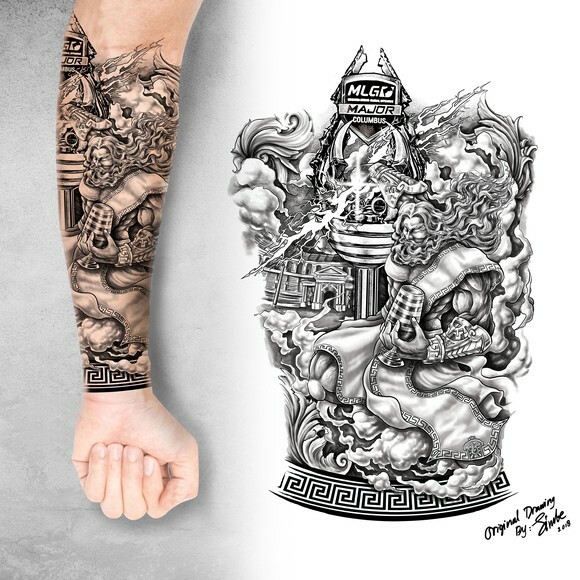 To achieve top level status, a tattoo designer has to have a solid record of creating high-concept designs that meet and often, exceed clients’ expectations. But it takes more than creativity to be a top level designer. The designers we choose to bear this title are designers whose technical skills enable them to create usable products and whose communication skills don’t just satisfy clients, but bring them back to 99designs when they want more tattoos designed. You wouldn’t hire somebody who’s never designed a tattoo before to design your tattoo, would you? When we chose the top tattoo designers of 2019, we chose designers who have extensive portfolios that satisfied their clients. A good artist isn’t necessarily a good tattoo designer. Every medium has its limitations and best uses; tattoos are no different. A tattoo has to work with the client’s natural curves in the area where they want it. It also has to be shaded and colored appropriately for the client’s skin tone and type. 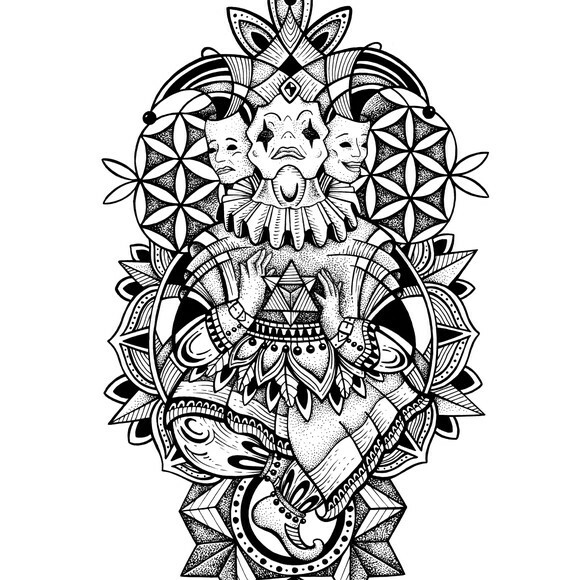 A skilled tattoo designer uses this type of information about the client to create a design that will really pop on the client’s body, not just immediately but for years after it’s initially inked. As the client, you have to be comfortable speaking with your tattoo designer and confident that you’ll be satisfied with the end product, even if that means having the designer make revisions to their original design. 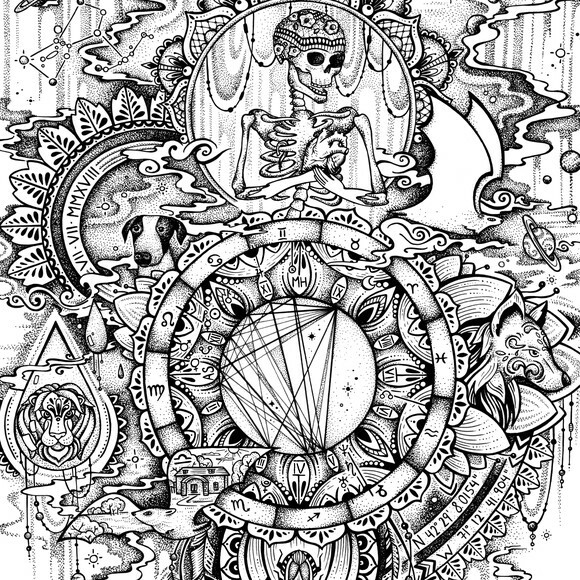 To be chosen as one of the top tattoo designers, a designer has to have a record of communicating effectively with clients and delivering designs that they’re happy to receive. Reputation goes a long way on 99designs, and it’s one of the things a designer needs to get to the top of their category. The best way to find the right tattoo designer to look at designer portfolios . Don’t just look for past work that matches the tattoo design you have in your head—look at little things like the use of shading, gradients, art style and the kinds of subjects used. For example, if text is part of your tattoo design, look for designers who have text-heavy pieces in their portfolios that use the fonts you like. Start your search with ideas in mind to help you weed out designers who aren’t a good fit, but also be open to suggestions from designers because they might have a different take on your idea that you end up liking better than how you originally envisioned it. 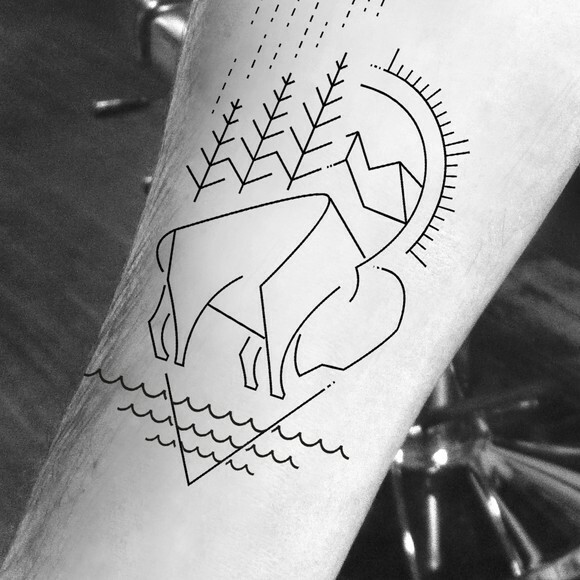 How well your design will translate to an actual tattoo. You might have to make adjustments to your design to make it into a tattoo that will look great on your body, like darkening pastel tones in a design to make them pop against fair skin. One way to approach this part of the process is to find a tattoo artist first and talk to them about colors you should use and other design elements based on where you want the tattoo, then find a designer. 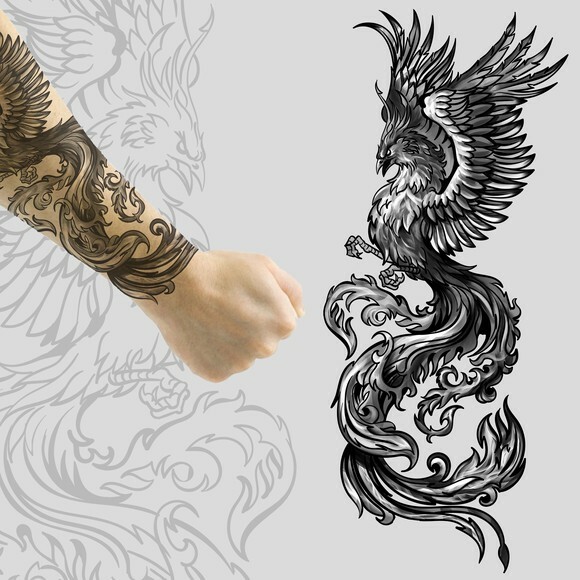 Are you ready to hire the freelance tattoo designer who’ll capture exactly what you want on your body? When you get a tattoo, you get the tattoo for life. Sure, you can have a tattoo removed or covered up, but after making your original investment in the tattoo, facing these costs can sting more than the lasers they’ll use to take it off your body. If our top 10 tattoo designers aren’t what you’re looking for, search 99designs to find the perfect designer for your tattoo. The right designer for you is out there, you just have to find them. 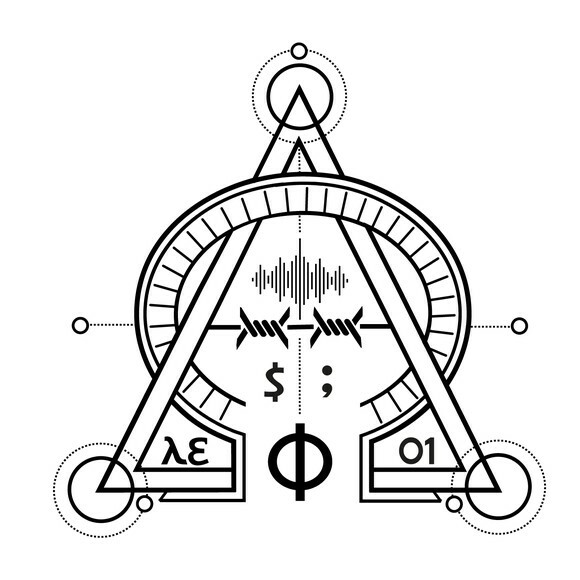 Want more tattoo designer choices? 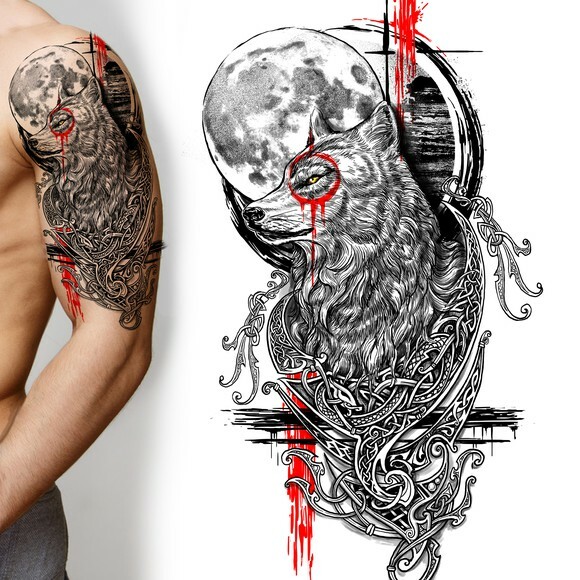 Search for the most creative freelance designer for your tattoo.